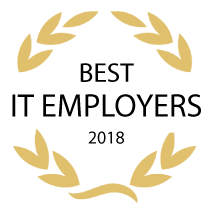 Infopulse is ranked as the #1 Best IT Employer 2018 according to an annual ranking published by DOU, a leading IT community platform in Ukraine. 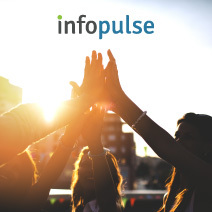 Infopulse makes it to the top for the first time, enjoying top-5 places for seven years in a row. 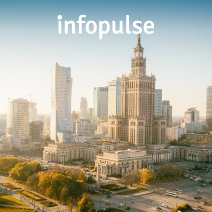 Infopulse is glad to announce the launch of its newest delivery center in Warsaw, Poland. 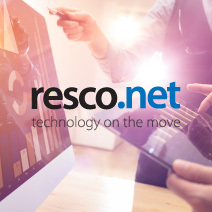 Expanding the company’s presence in the European Union was a top priority aim of the company, determined in Infopulse’s strategy for 2017-2019. Infopulse is happy to become the first-prize winner at BlockchainUA Hackathon 2018 with an end-to-end verifiable and tamper resistant stakeholder voting system on blockchain. 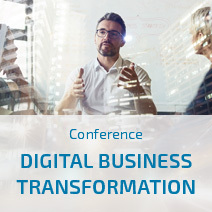 On September 19, 2018, Infopulse hosted the Digital Business Transformation conference organized to engage Ukrainian CIOs, CTOs and C-level executives in the latest digitalization trends and ways to increase their business productivity. 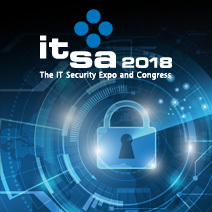 Infopulse again is inviting you to it-sa 2018 – a number one IT Security Trade Fair in Europe. 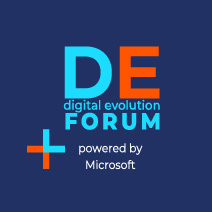 The first-class security gurus, experts, and opinion makers get together at Nuremberg Exhibition Center in Germany on October 9-11, 2018. 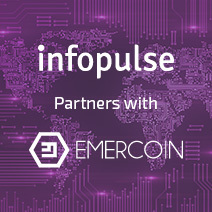 Infopulse is pleased to announce about its partnering with Emercoin in pursue of strengthening their R&D activities and collaborating on innovative blockchain projects. 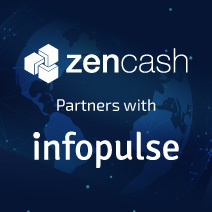 ZenCash, the privacy coin for borderless, decentralized communications and transactions, has announced that it has partnered with Infopulse to collaborate on key research and development projects on the Zen blockchain. 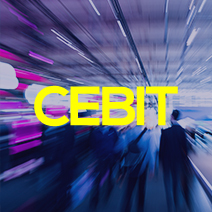 On June 11-15, Infopulse will be exhibiting at CeBIT 2018, a European tech festival, world’s largest IT expo, and a conference for innovations and digitalization to be held in Hannover, Germany.